APA-Douala (Cameroon) By Mbog Achille — A raid by the militant sect Boko Haram on Charkamari village in northern Cameroon has left at least nine people dead, witnesses told APA on Friday. APA – Lagos (Nigeria) — Nigerian President Muhammadu Buhari has enjoined all Nigerians to intensify prayers for peace and security to return to all parts of the country. 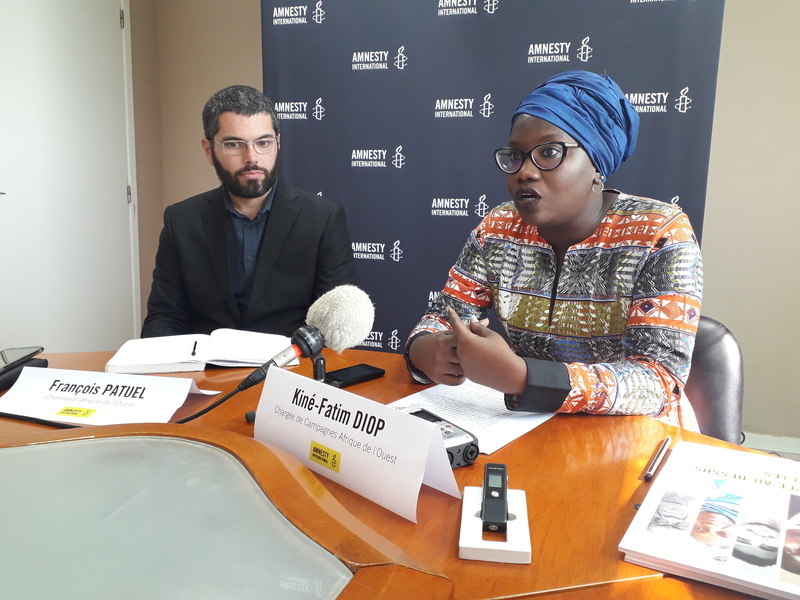 The West African branch of Amnesty International has demanded the release of the 35-year-old Mauritanian blogger, Mohamed Cheikh Mkhaitir, who is detained in his country for publishing a blog deemed blasphemous. The blogger was arrested on 2nd January, 2014 for publishing, in December 2013, an article on slavery and discrimination against blacksmiths, a caste to which he belongs. “While keeping Mohamed Mkhaitir in detention, the Mauritanian authorities have shown a deep contempt for the rule of law. This man is a political prisoner whose fate is now in the hands of the authorities merely because he exercised, peacefully, his right to freedom of speech” Kine-Fatim Diop, Amnesty International campaigner for West Africa said in a statement. She was addressing a press conference at the headquarters of the international human rights NGO in Dakar on Thursday. She expressed concern about Mkhaitir's “health and mental condition” since he was sentenced to the death penalty in November 2017. This verdict was finally overturned by the Mauritanian Court of Appeal. In a joint statement with some 30 other human rights groups, AI said the blogger is still detained in an undisclosed location, where he has only very limited contact with his family and cannot get in touch with his lawyers, because the authorities did recognize the court’s November 9 2017 ruling for his release. François Patuel, an AI researcher for West Africa, described Mkhaitir’s case as a tragedy and an obstacle to freedom of expression.